A reward of up to $10,000 is being offered for information regarding the current whereabouts of Diamond and her 10-year-old sister Tionda Bradley. Diamond Bradley has a medium complexion and wears her hair in braided ponytails. She was last seen wearing purple ponytail holders in her hair. She has a scar on the left side of her scalp, has deep-set eyes, and is described as timid but loves to talk. 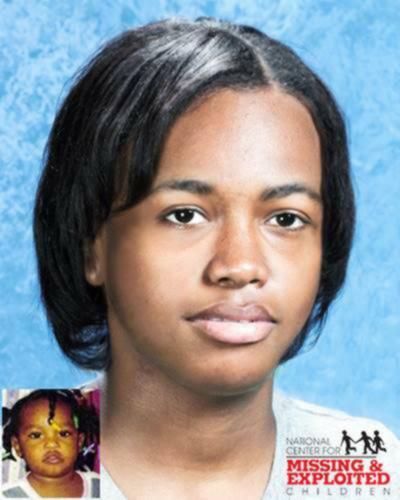 On July 6, 2001, three-year-old Diamond Yvette Bradley and her sister, ten-year-old Tionda Bradley, were reported missing to the Chicago Police Department, Chicago, Illinois. According to their mother, a note written by Tionda was found, stating that the two girls were going to the store and to the school playground. An extensive search of the area and surrounding neighborhood met with negative results.